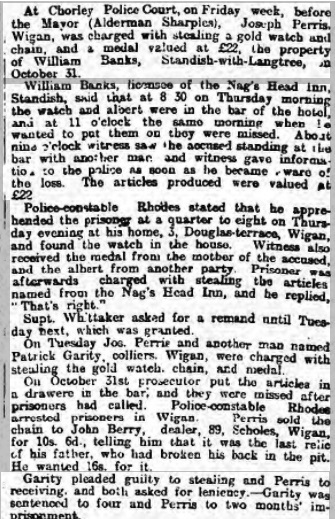 The Nag's Head was located at the very end of Church Street just on High Street before the junction with Grove Lane and continuation into Wigan Road. 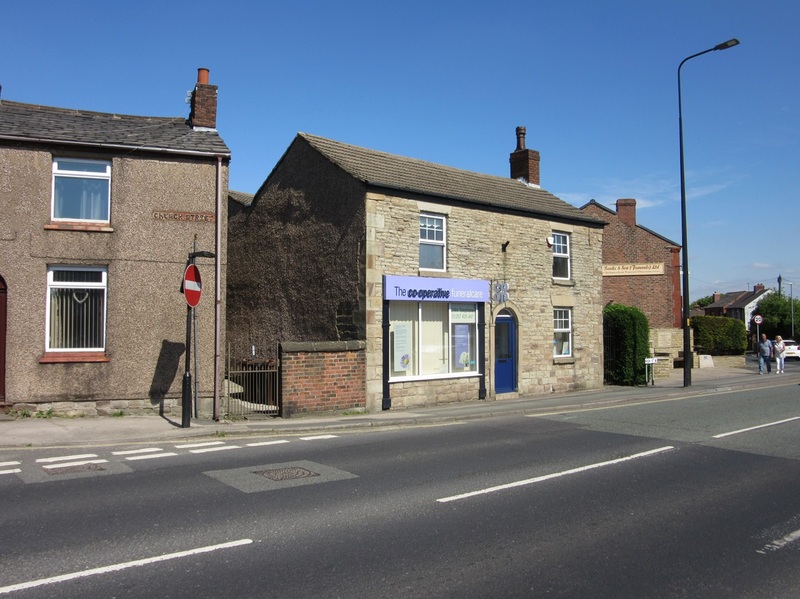 The building itself dates back to the 1700's but does not appear to have been used as a beer house until the 1860's when it was the home of William Turner, a boot and shoe maker. Listed landlords at the Nag's Head were William Turner (1871-75), Ellen Gorton (1875-91), Henry Parkinson (1901), William Banks (1907) and Margaret Banks (1911). 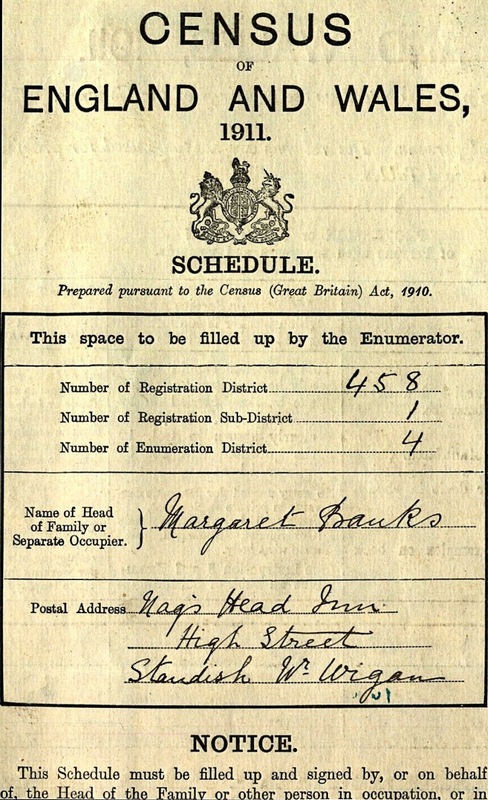 Ellen Gorton was landlady of the Globe Inn on High Street before taking over at the Nag's Head in the 1870s. 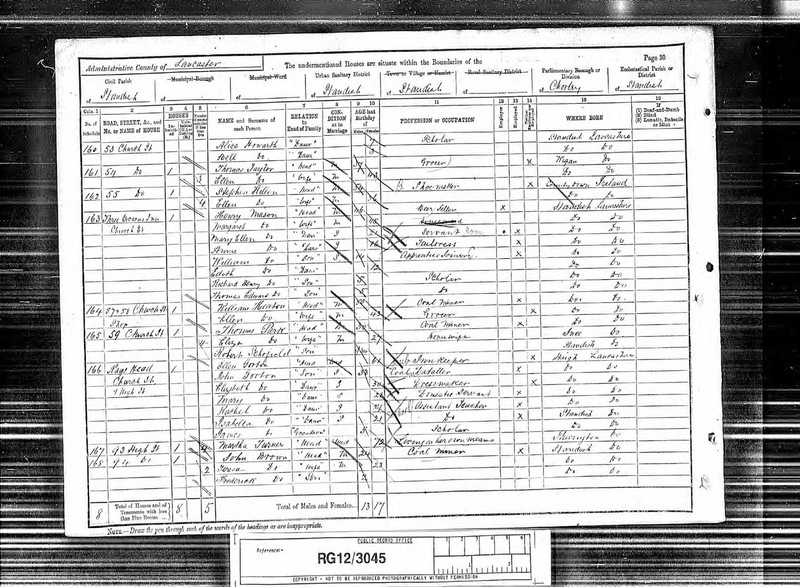 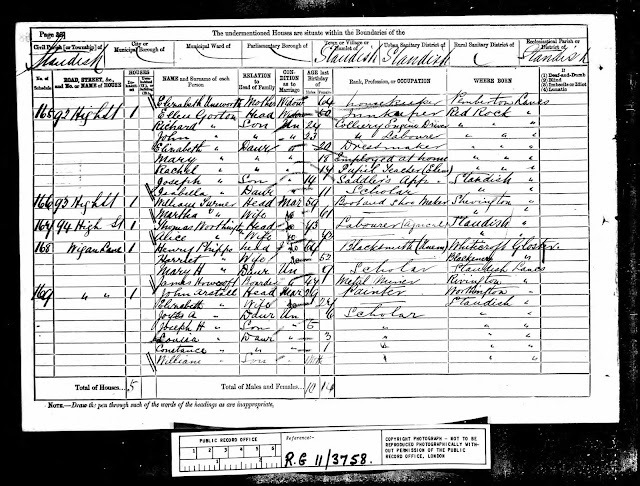 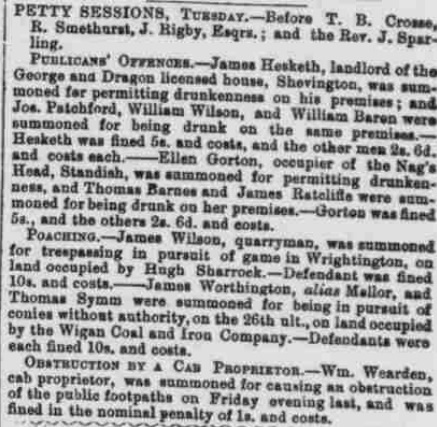 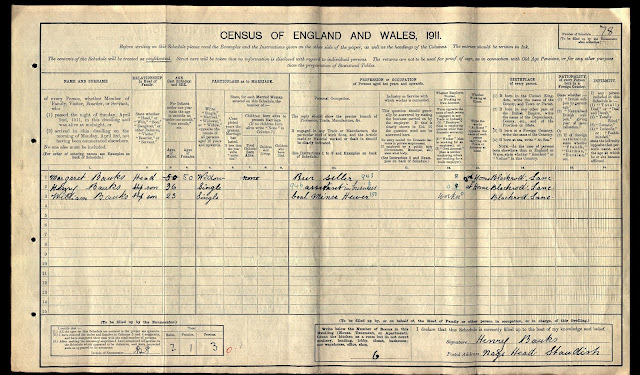 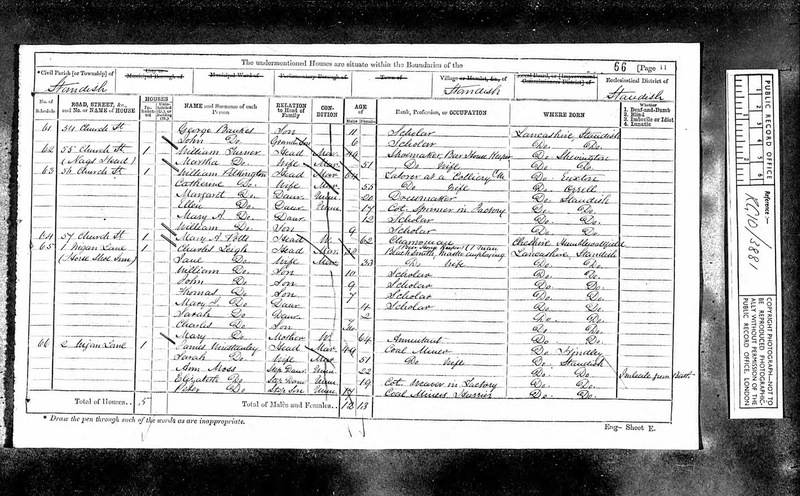 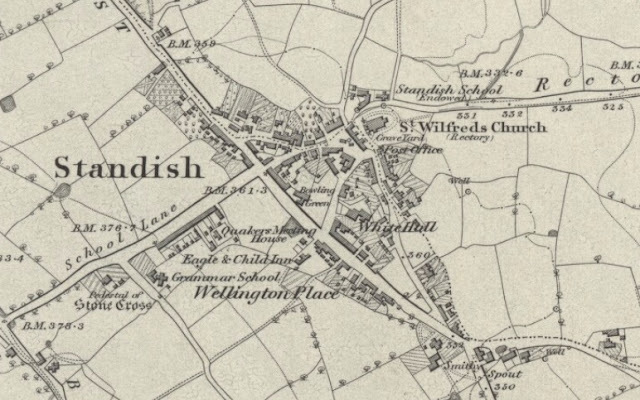 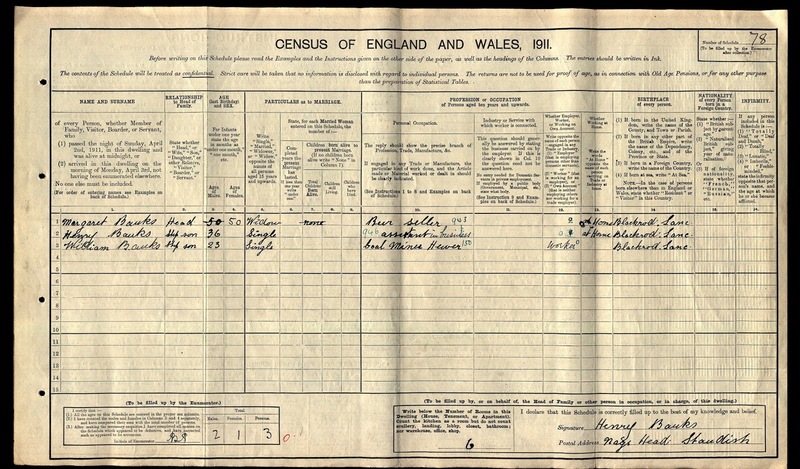 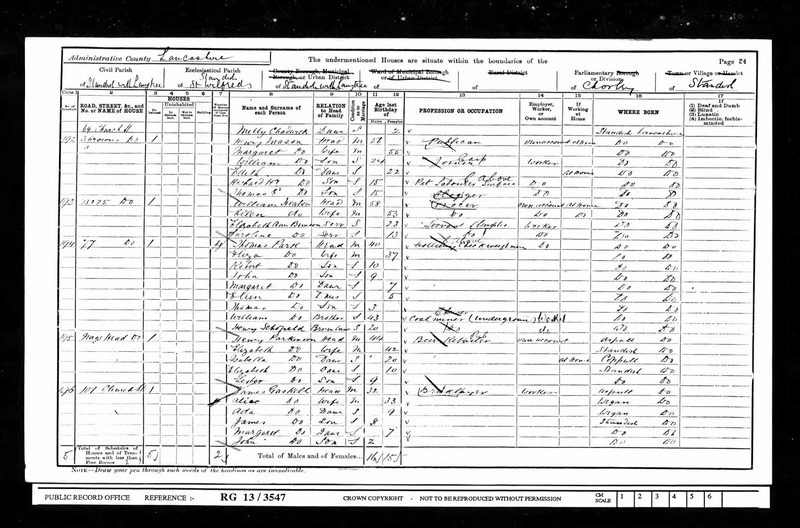 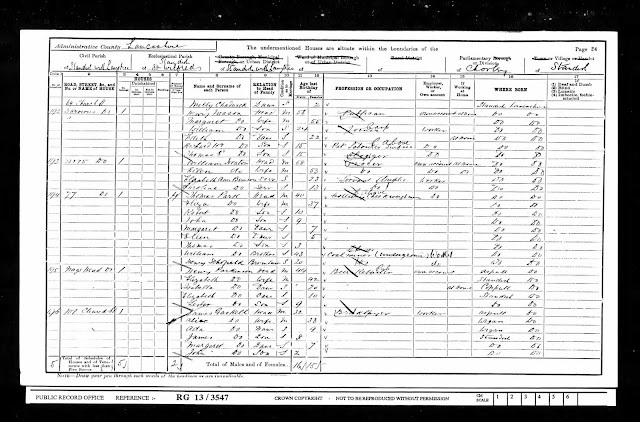 She continued to run the pub until sometime in the 1890s after which she moved in with her daughter Rachel and son-in-law Charles Barfield further down Wigan Road at no.12a where she was living at the time of the 1901 census, her occupation shown as "retired publican". She remained living in Standish until her death in 1908. 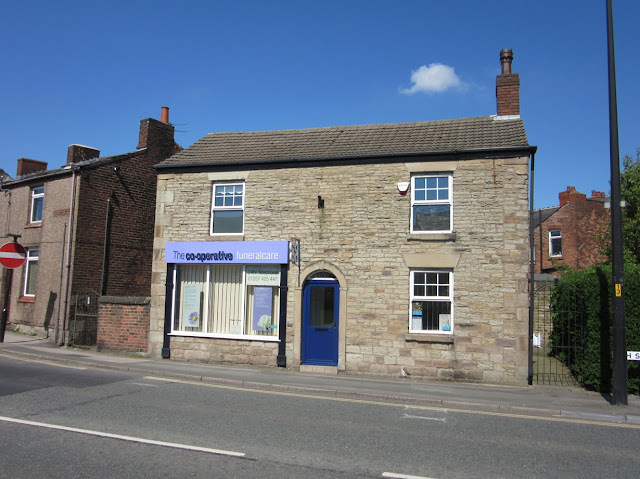 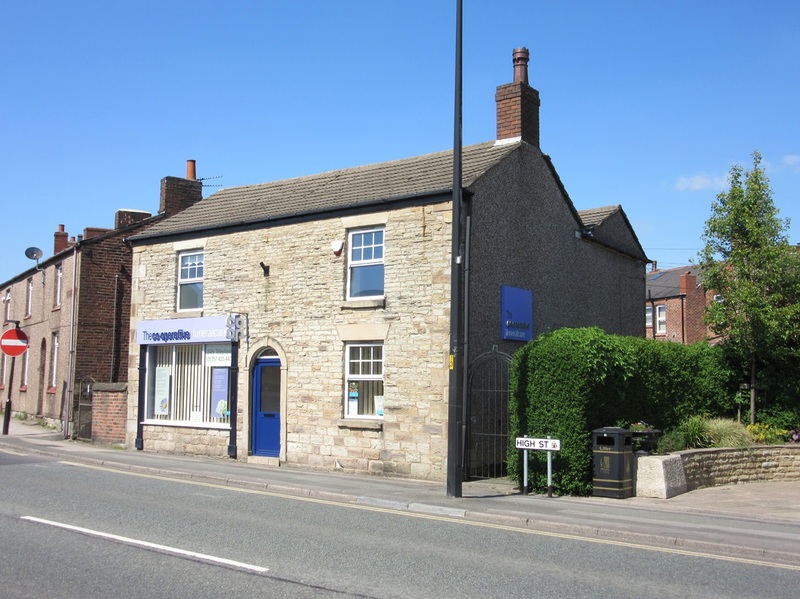 Having closed in the early 1900's the beer house is now in use as the Co-op Funeral Care offices.